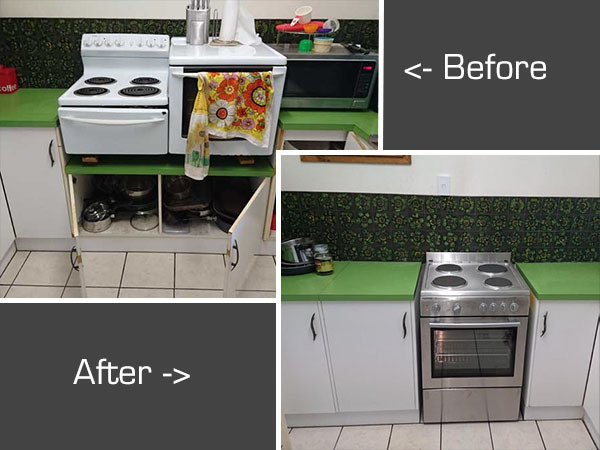 The old side by side cooktop and oven in this client’s house had stopped working. 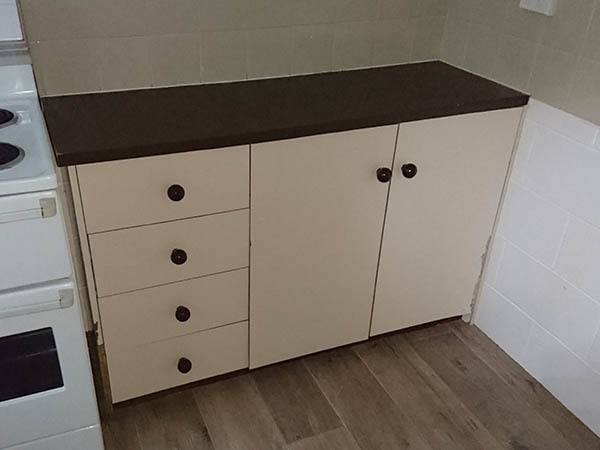 The replacement was a new freestanding cooker but it did not suit the existing cabinet work which is where we came in! 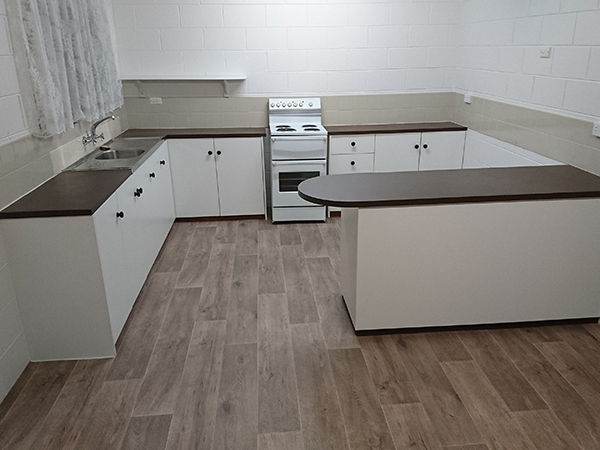 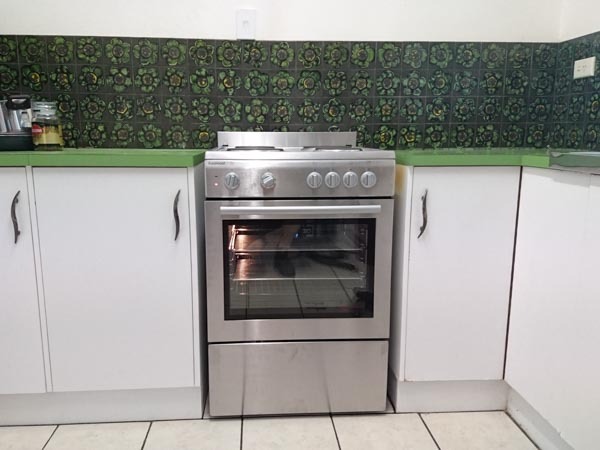 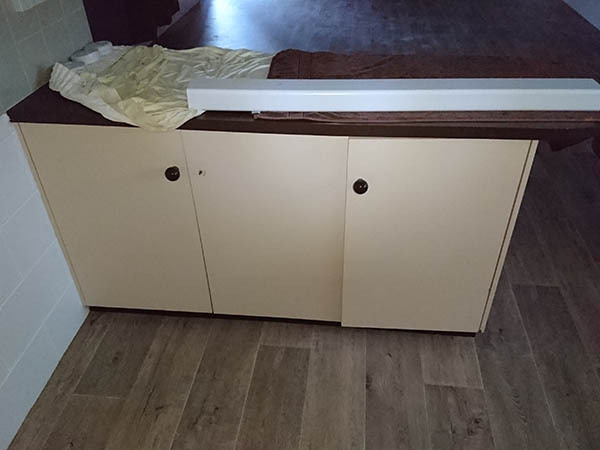 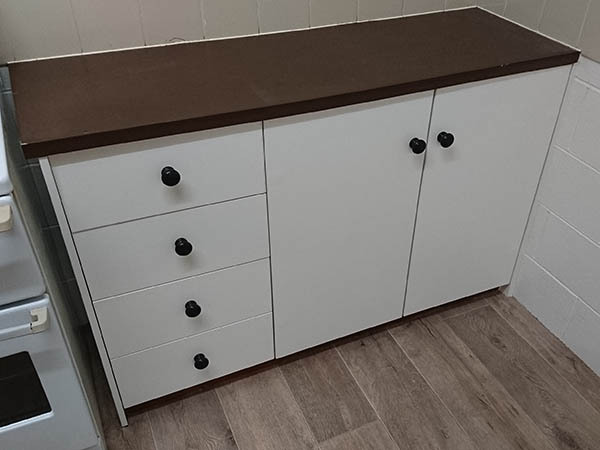 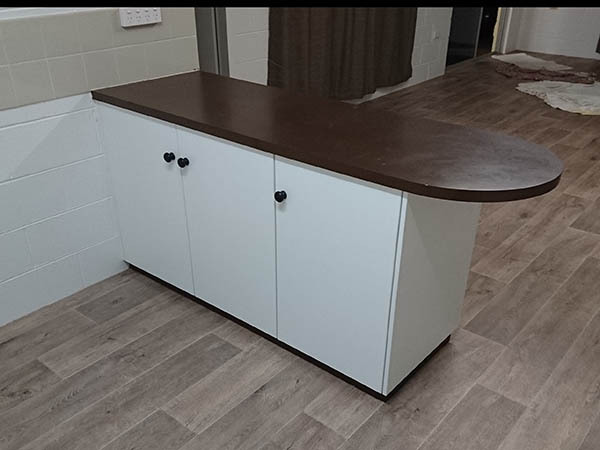 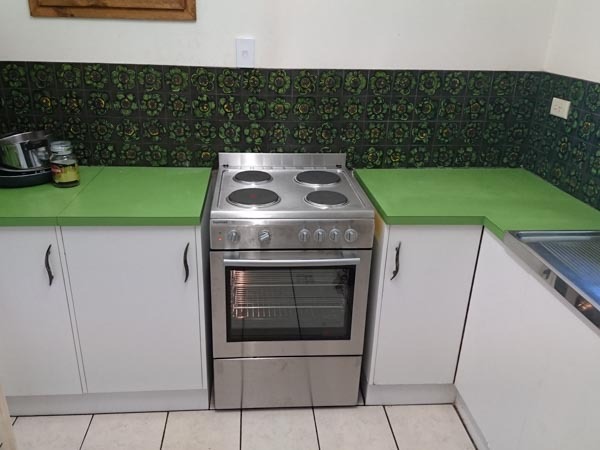 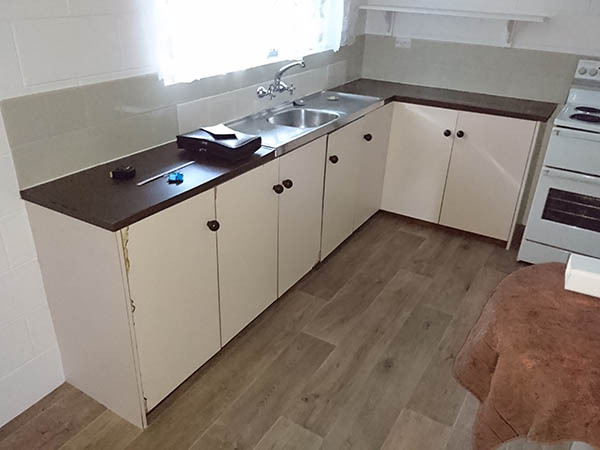 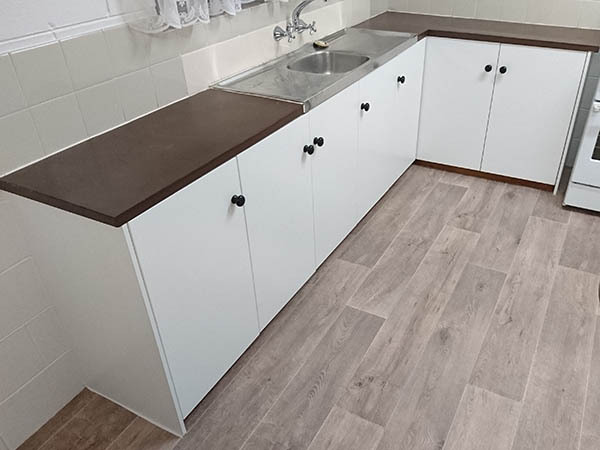 We organised an electrician to disconnect and remove the old appliance which then allowed us to modify the cabinetry and benchtop and lay new tiles where the old cupboard was. 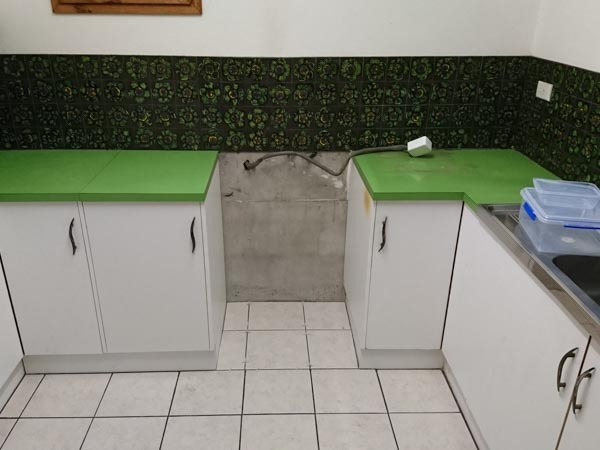 Once completed we got the electrician back who connected the new cooker. 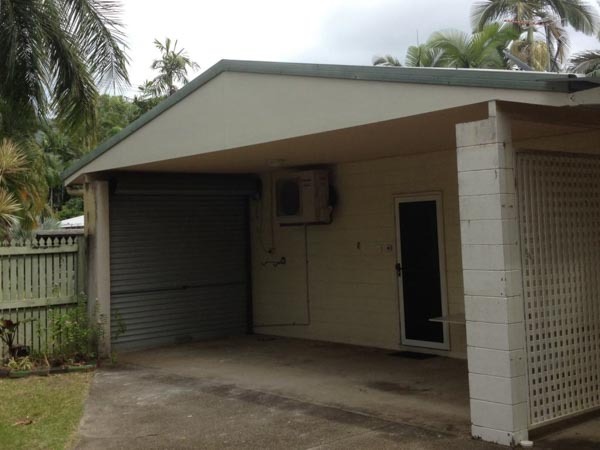 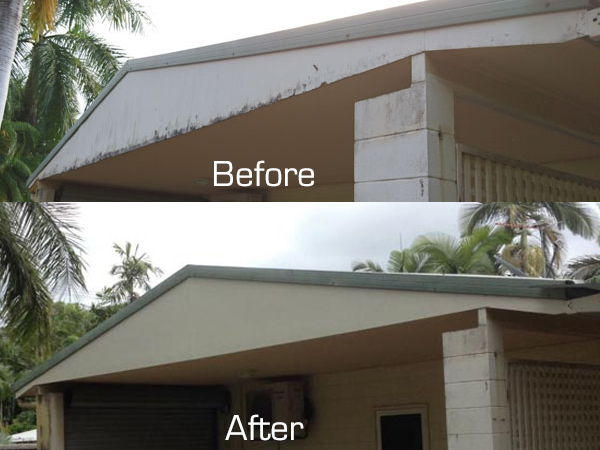 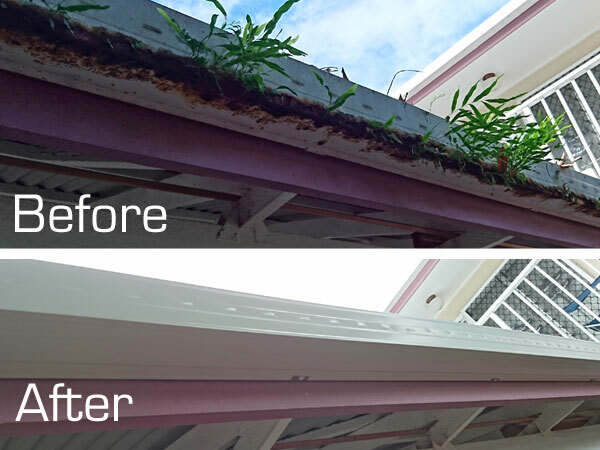 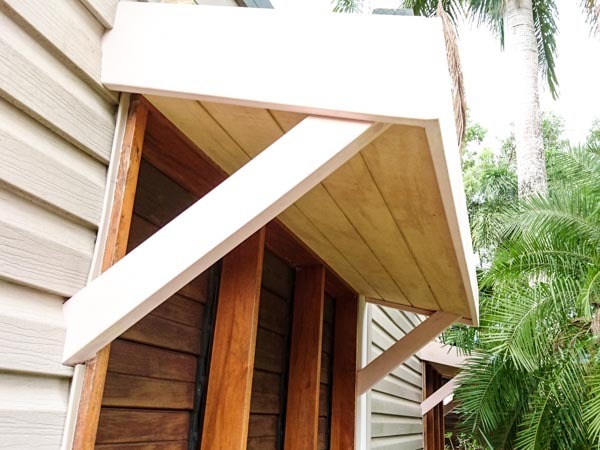 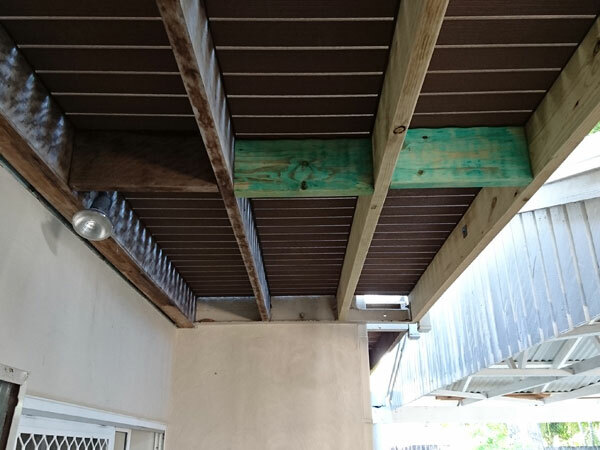 The cement sheeting on this carport gable was old and falling to pieces and needed replacing. 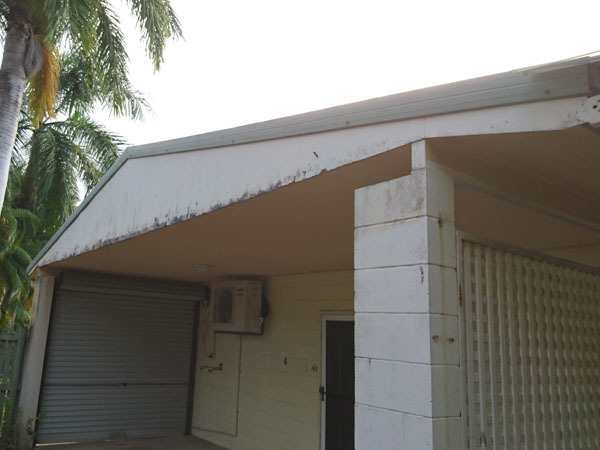 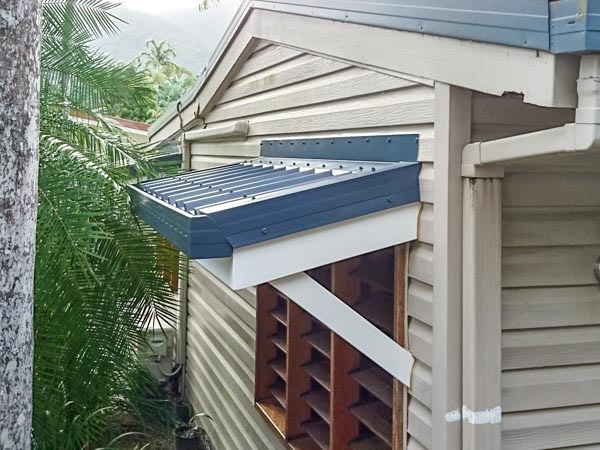 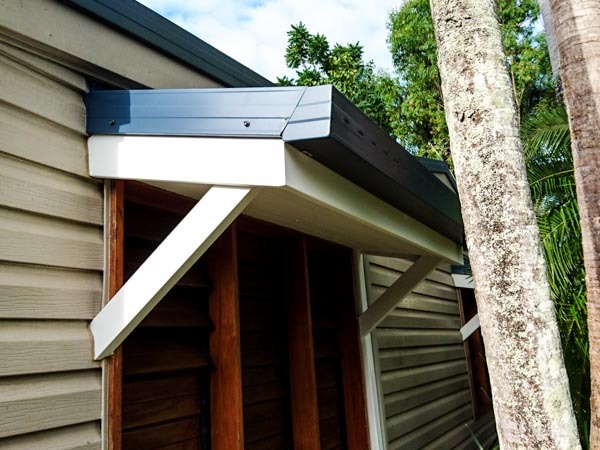 New fibre cement sheets were installed and painted giving the gable a new life. 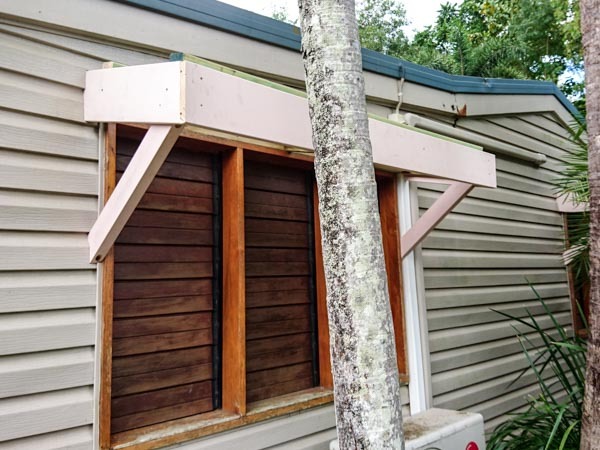 Our brief for this one was to construct some awnings above the windows that didn’t have them looking like they were an after-thought but with a particular design brief in mind. 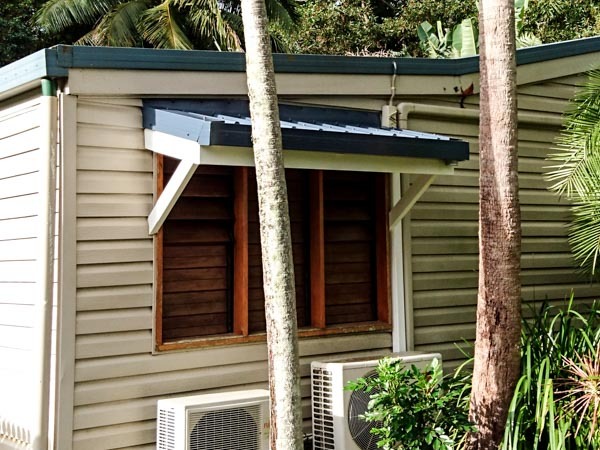 A lot of considerations for this one too as we had to ensure it was well fixed, water-tight, work with existing plumbing and air-conditioner electrical work as well as looking good. 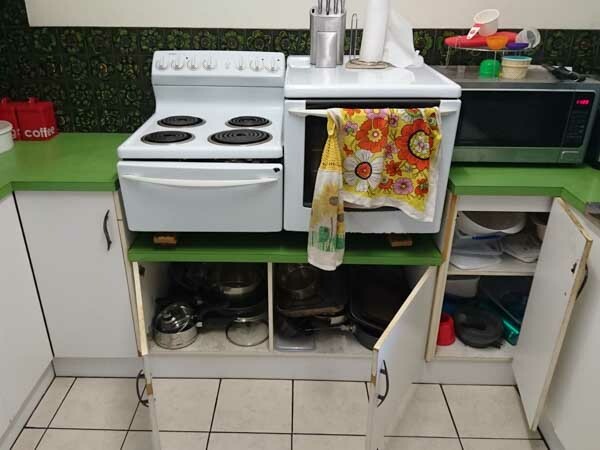 I think we achieved it! 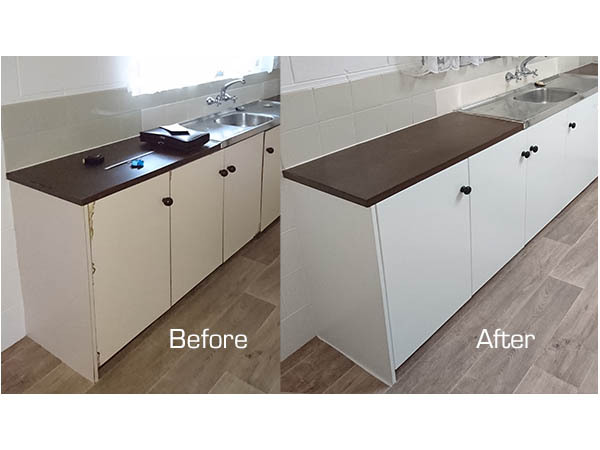 Our client needed his kitchen repaired and updated but was on a tight budget so with some creative thinking we were able to modernise his kitchen whilst sticking to that budget! 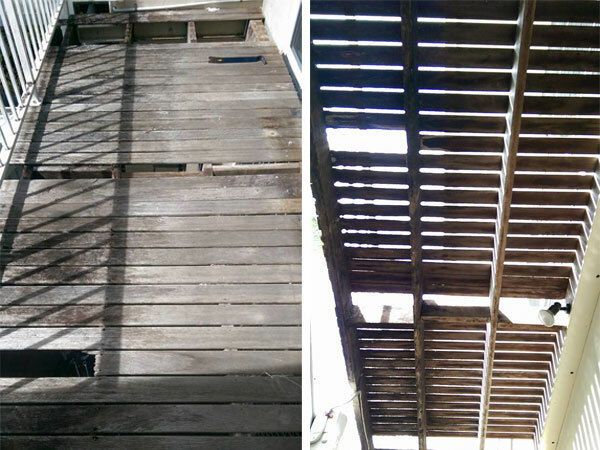 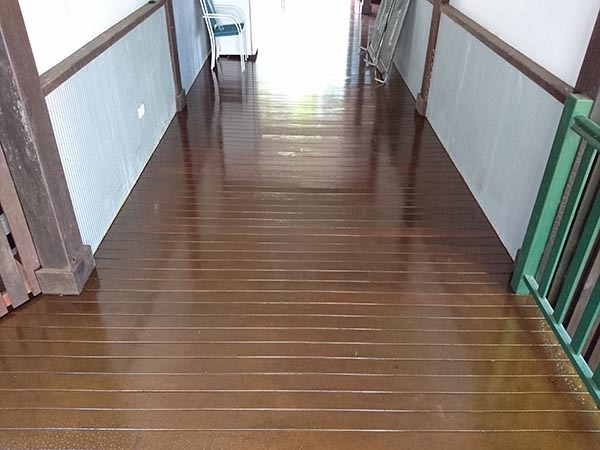 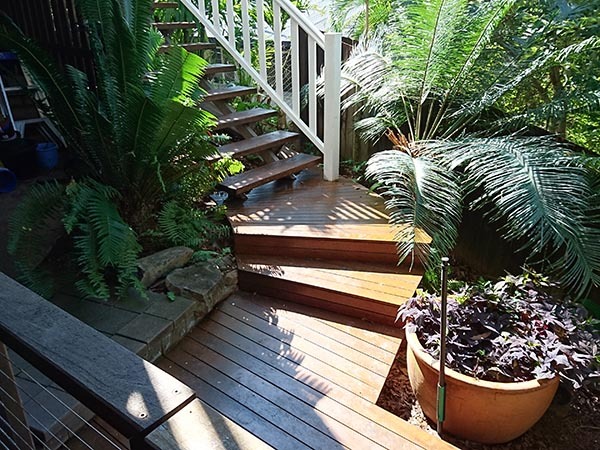 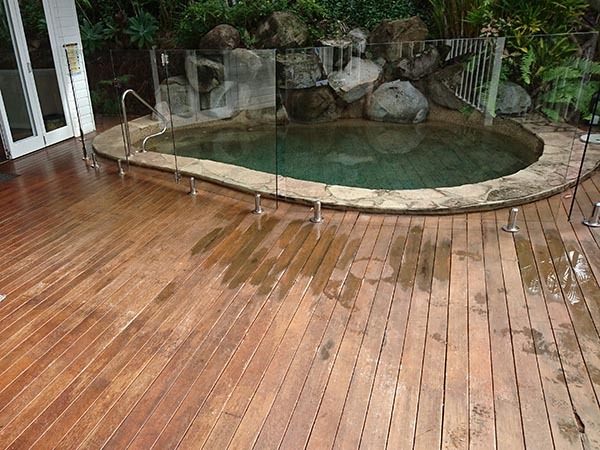 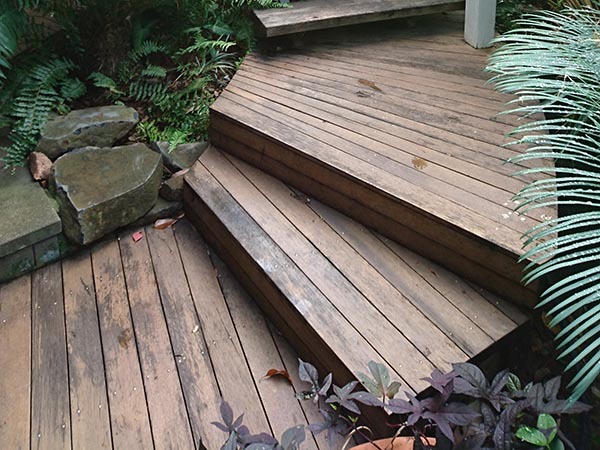 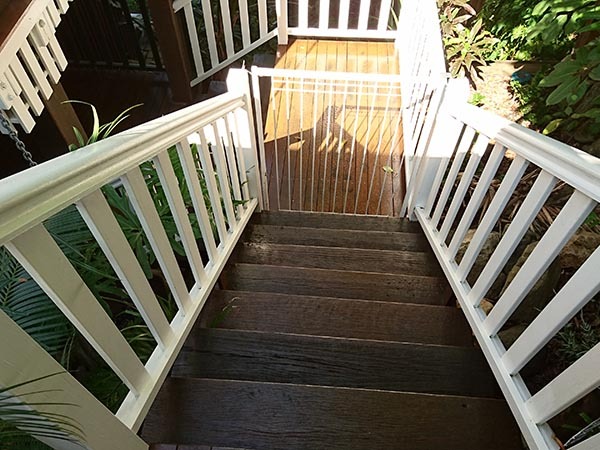 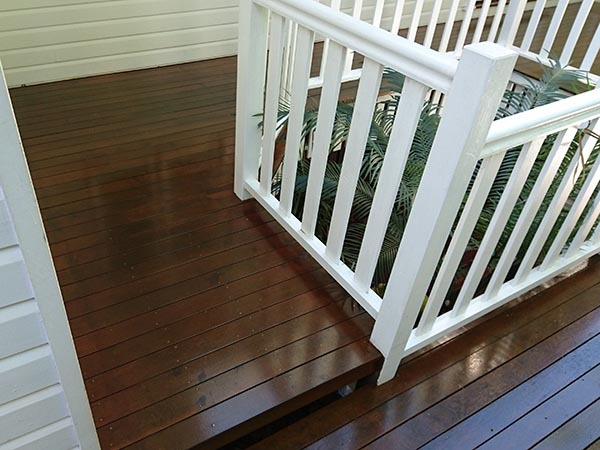 This Queenslander in Whitfield had approx 262sqm of decking that had seen better days. 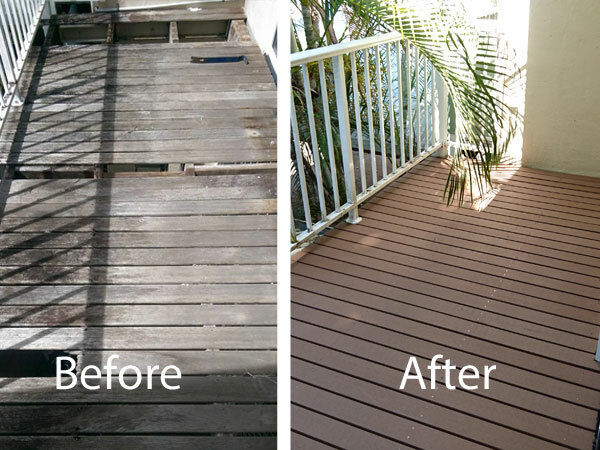 We were tasked with the job of bringing the decking back to life again. 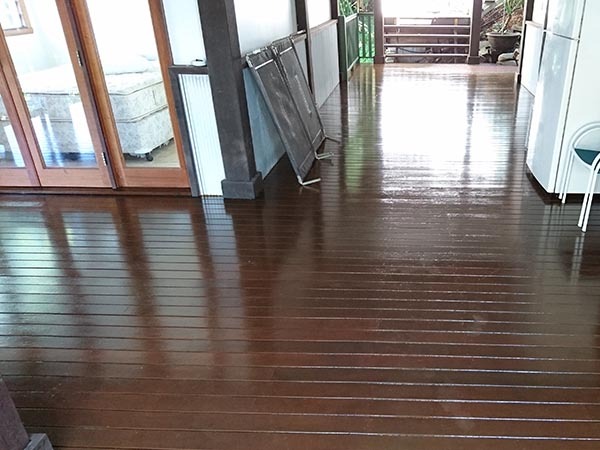 Rotted boards were replaced with the same hardwood timber sourced from local suppliers and after a good clean the deck was ready to be coated. 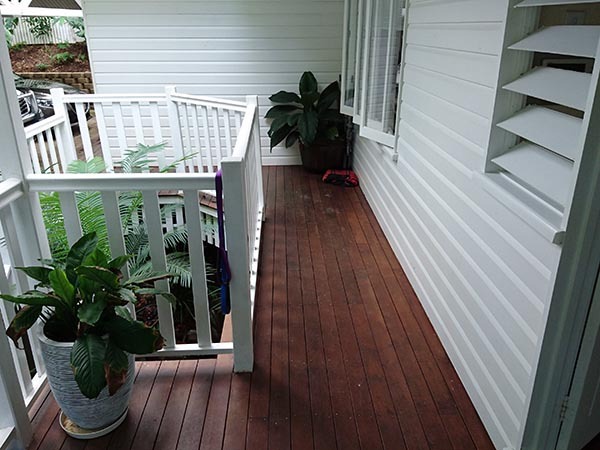 We used only premium Sikkens products applying 3 coats over the space of a week which brought this tired looking deck back to life. 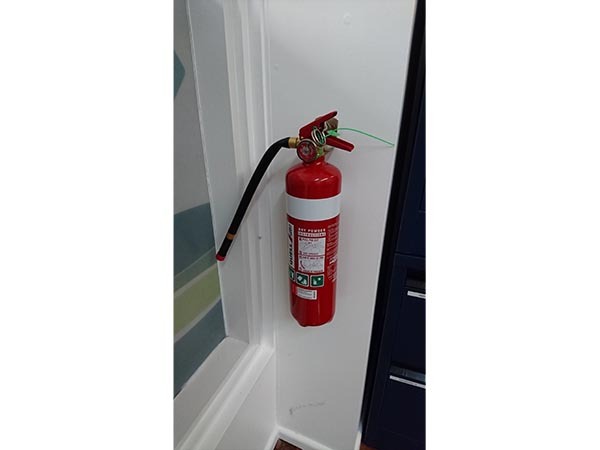 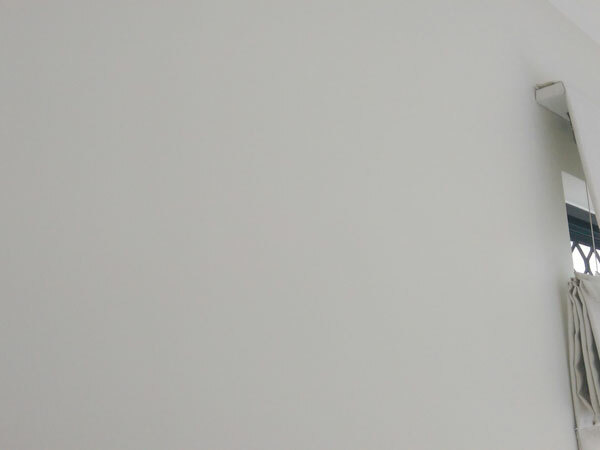 With just the cost of a call out fee we were able to hang this fire extinguisher for our client into a plaster wall. 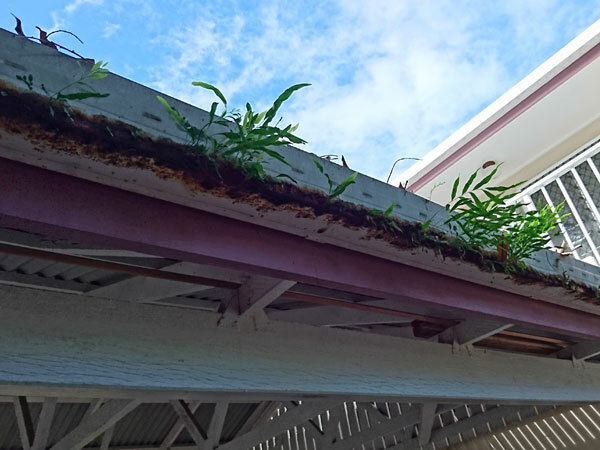 This gutter had seen better days. 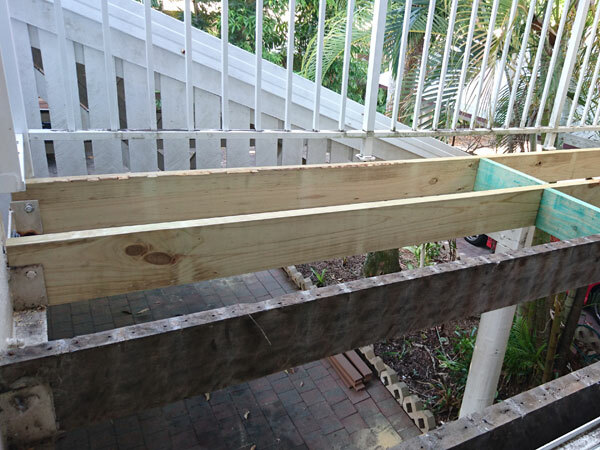 Although it’s was an ok looking planter box not very fit for purpose! 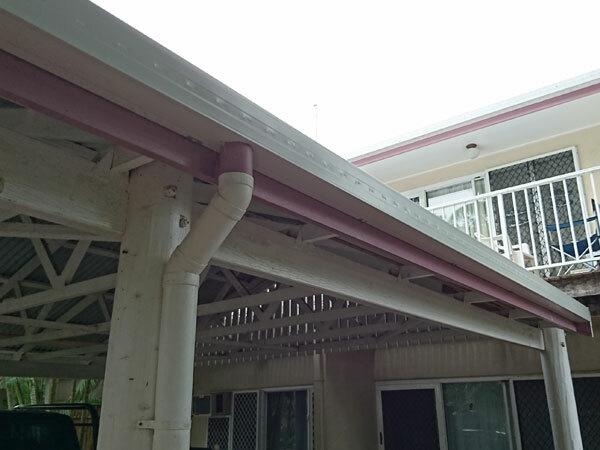 We took down the old guttering and installed a new length. 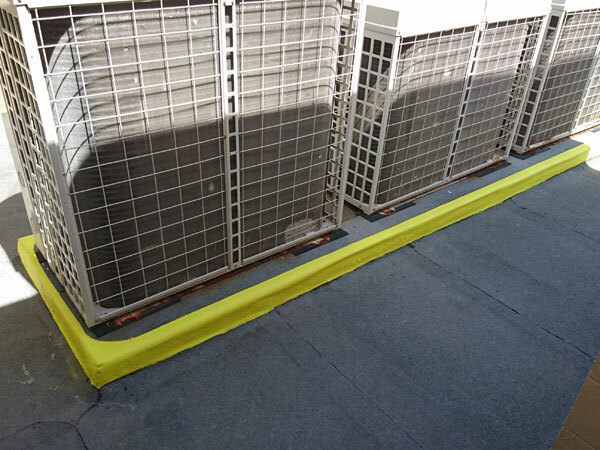 Water will now flow down the storm pipes without any resistance! 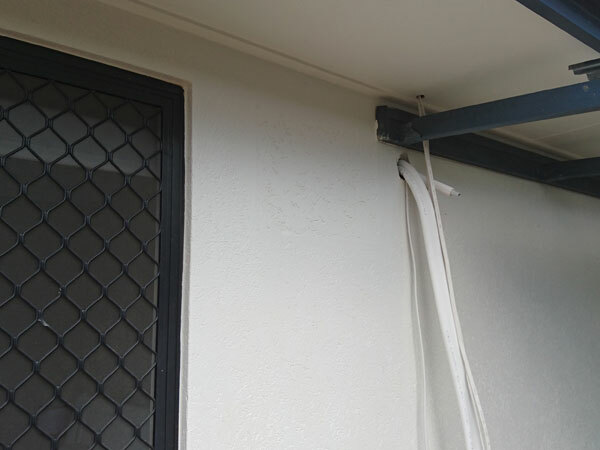 Another wall mounted air conditioner removal job on the Beaches. 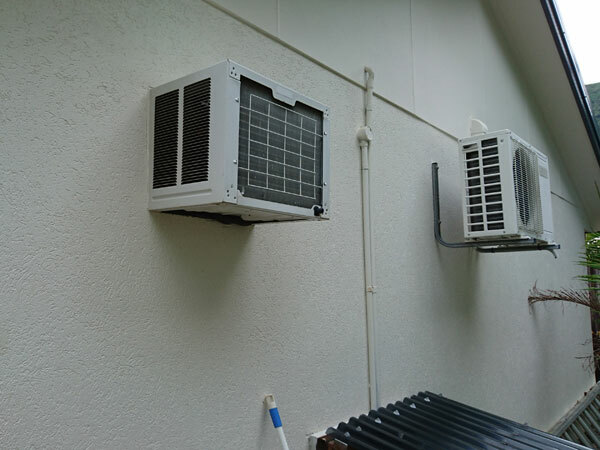 Clients were in the process of getting split systems installed so we needed to remove the old wall mounted units and make it look like they were never there. 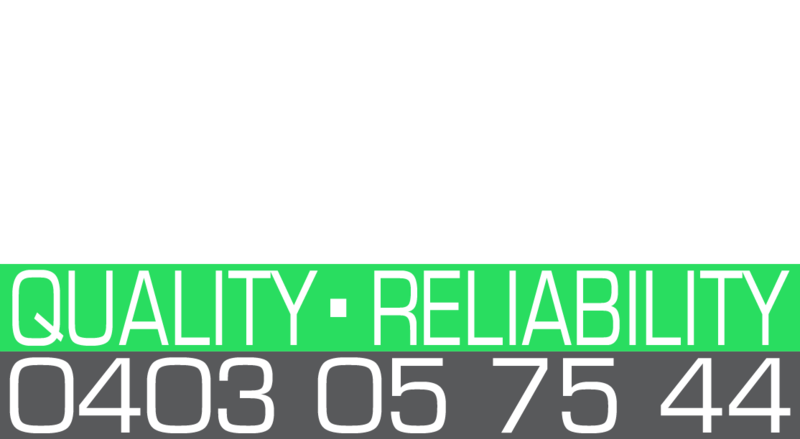 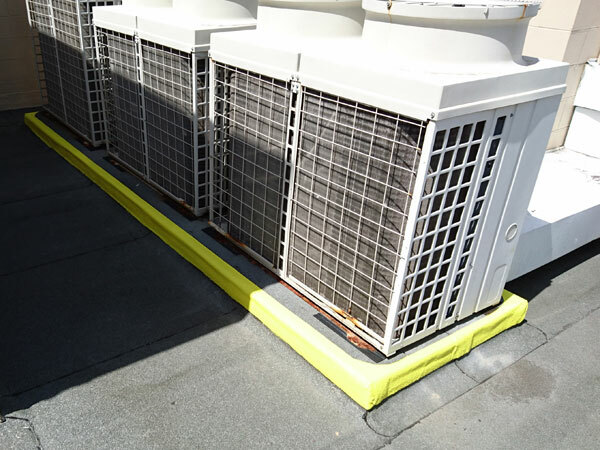 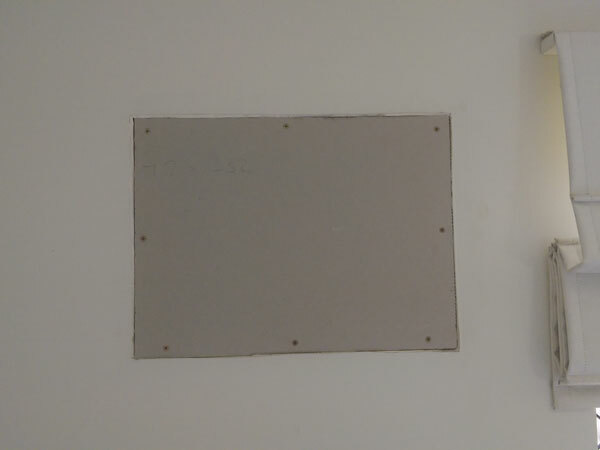 We removed and disposed of the old units and patched the holes internally and externally. 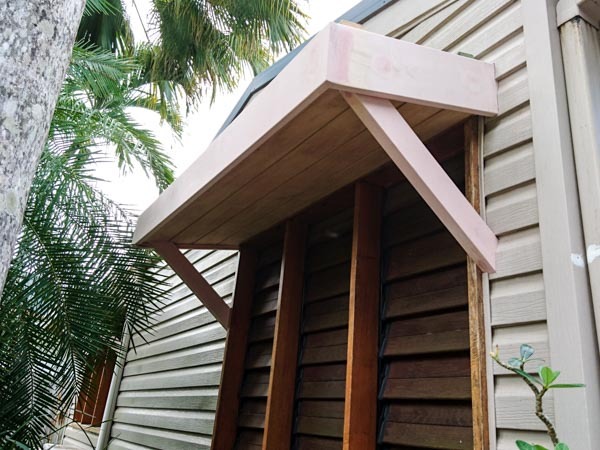 Plastered inside, rendered outside and then painted for a seamless finish. 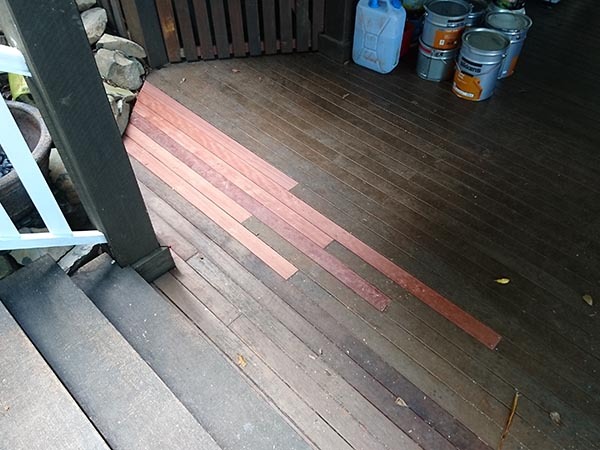 We had a request from a local building manager to paint a step edge as it was deemed unsafe. 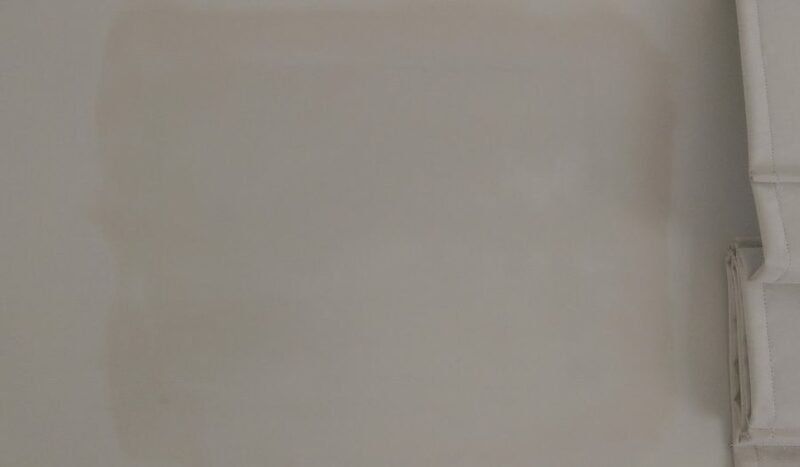 Just needed to wait for a dry day to paint. 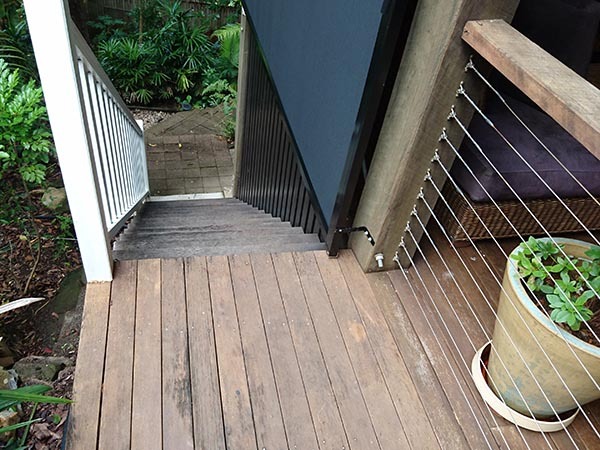 Step is now compliant and building manager is happy! 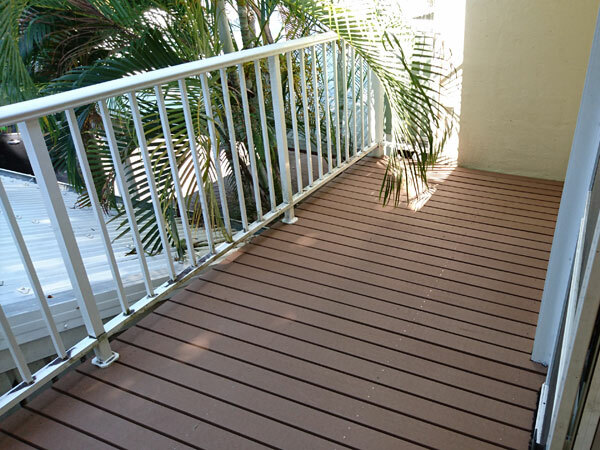 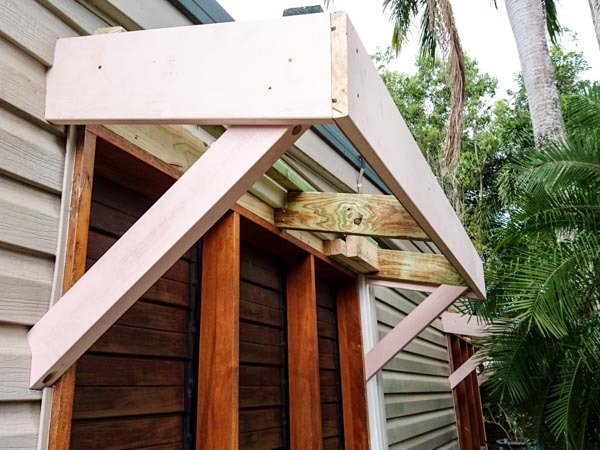 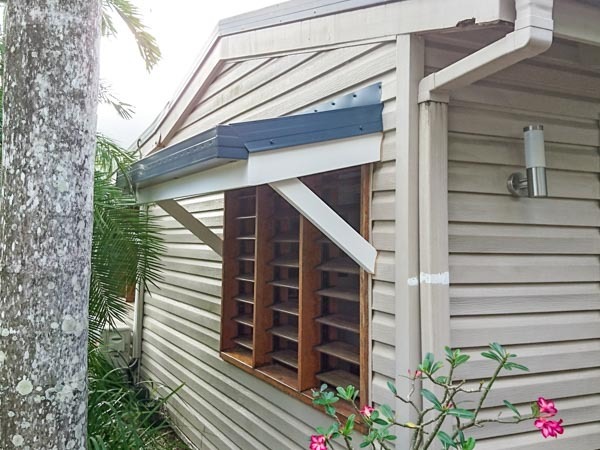 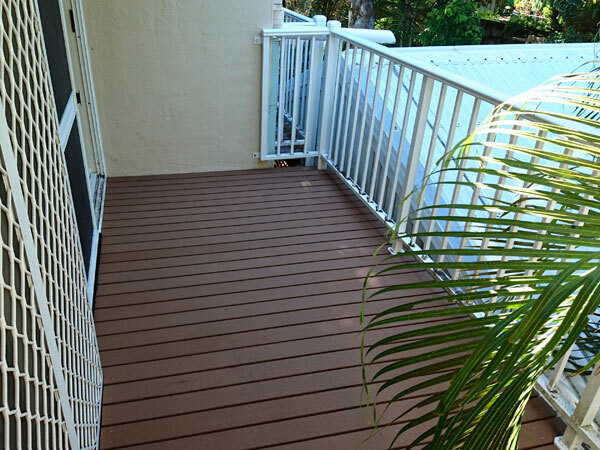 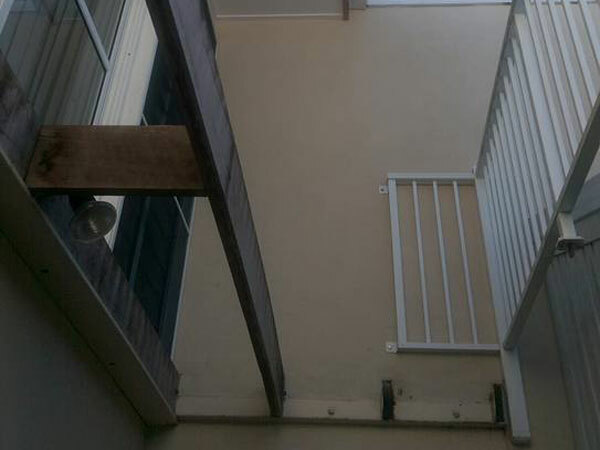 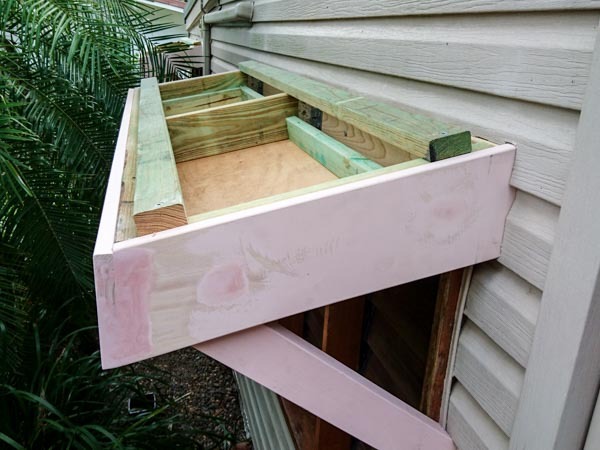 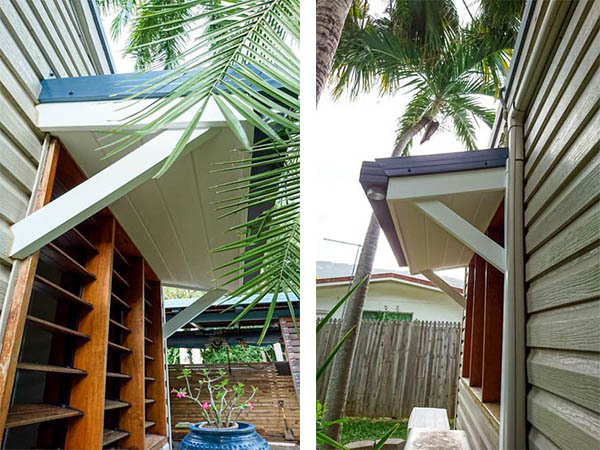 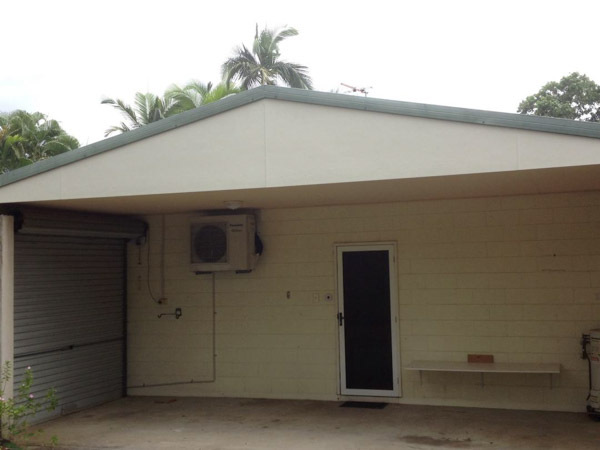 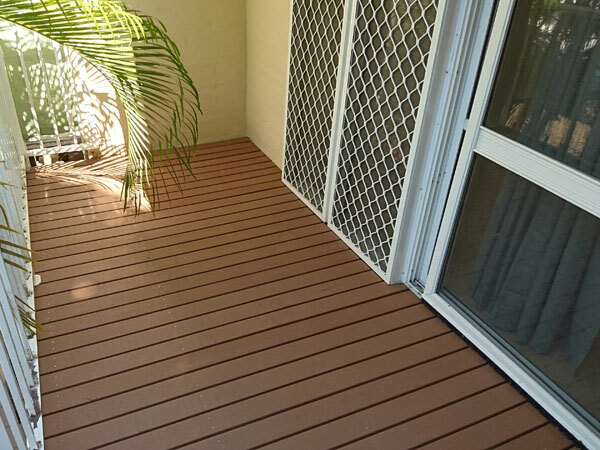 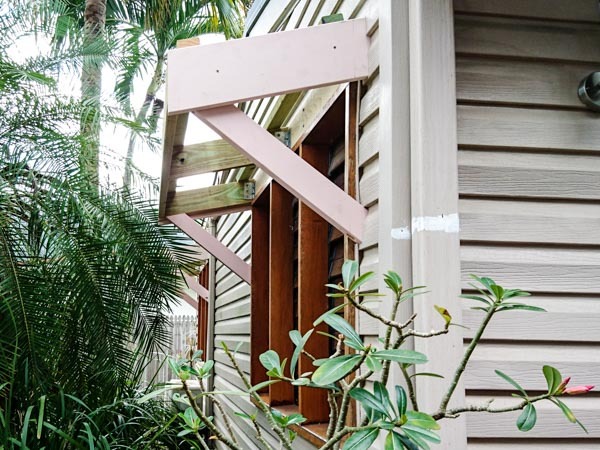 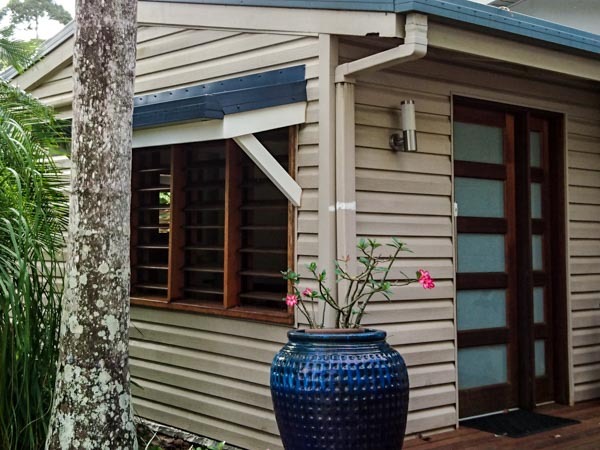 The deck on this unit in Yorkeys Knob was so degraded that it was no longer safe. 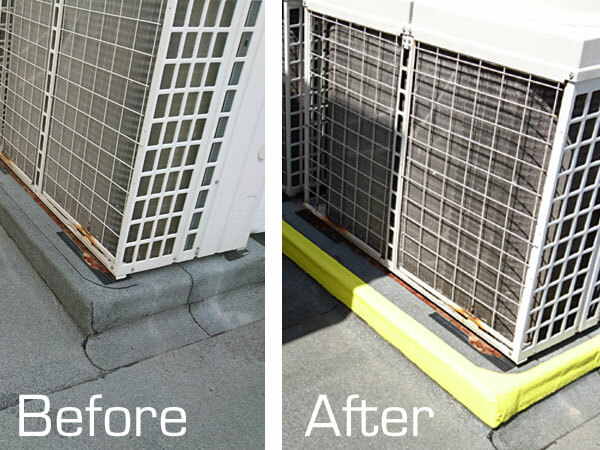 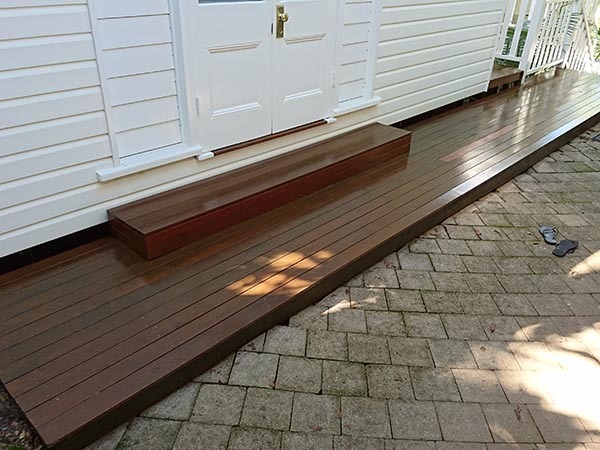 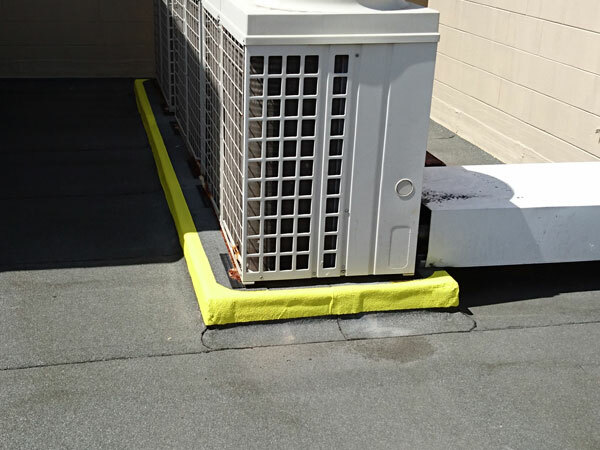 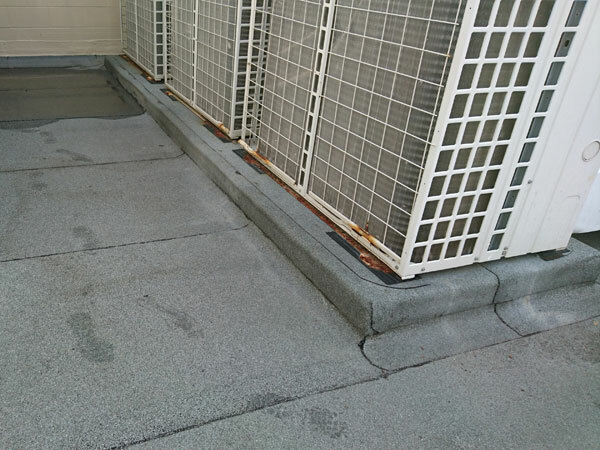 The body corp wanted a product that required minimal maintenance and that is where Ekodeck comes in. 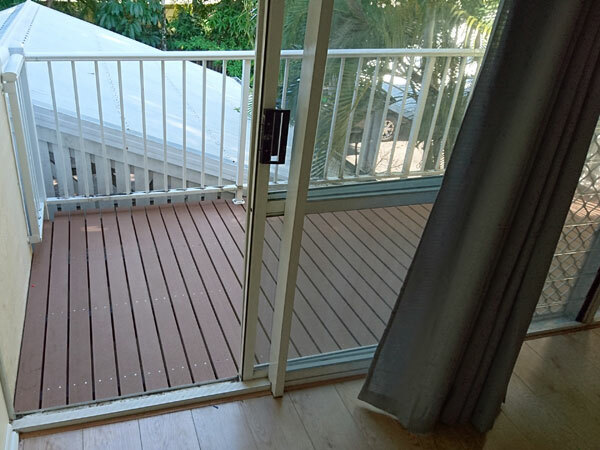 We removed the rotted boards and bearers and installed new bearers with H3 treated pine then laid the decking boards and fixed them with stainless steel screws. 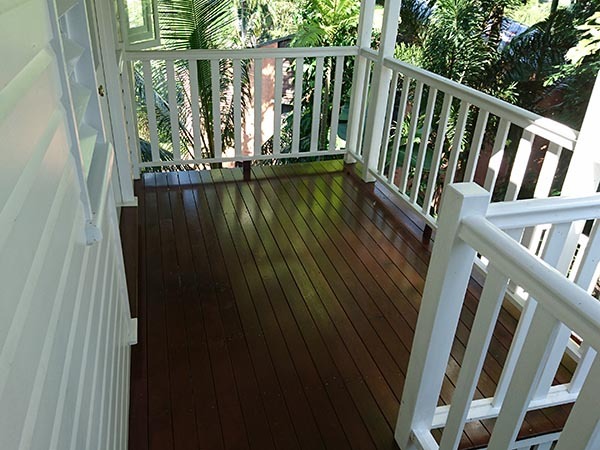 The finished deck is now safe and looks fantastic!